Harry Hartog Booksellers in Woden have started a monthly book club. Barbie got along to the first gathering in April and had a thoroughly enjoyable time. 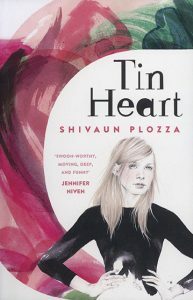 The book was Tin Heart, a young adult novel by Shivaun Plozza. The event was organised and chaired by Hartogian Claire. She did a great job with a whip around the circle to introduce everyone, well-prepared discussion questions and a feedback sheet to see what types of books attendees like reading. Everyone in the group felt welcome to contribute and there were some avid YA readers who shared their knowledge. Fabulous couple of hours with a bunch of dead keen readers in a relaxed and respectful atmosphere. And what could be better than being in a book store after hours! 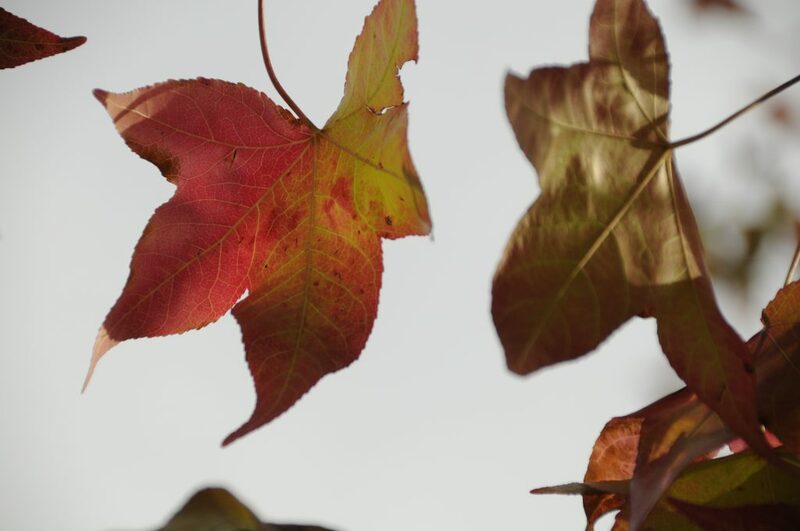 You can find out about the book club on the website www.harryhartog.com.au or become an e-news subscriber and you’ll get an invitation to attend. We also had an event of our own with the launch of Barbie’s third solo book of poems at Mirramu Creative Arts Centre on 21 April. 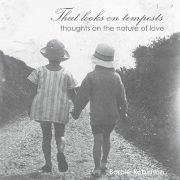 Published by the wonderful For Pity Sake Publishing (Sydney), the book is entitled That looks on tempests – thoughts on the nature of love. It’s available at www.forpitysake.com.au and locally from Harry Hartog. Contact us if you’d like to organise an author visit for a gathering of your book club. Barbie would be tickled pink. And we were guests at the Australian War Memorial café Poppy’s for the launch of Kathryn Spurling’s Fire at Sea: HMAS WESTRALIA 1998. The HMAS Westralia fire in 1998, one of Australia’s worst peacetime naval disasters, and the subsequent investigation, are the subjects of this, Dr Kathryn Spurling’s latest book. Dr Spurling covers how the human cost was lost in the blame game between different government departments and private companies, and how the families battle for justice revealed a labyrinth of innuendo concerning fraud, nepotism, dishonesty, incompetence and official cover-up. We enjoyed a media preview of the American Essentials Film Festival at Palace Electric – thanks for hosting us guys. This is one of our favourite film festivals, harking back to the glorious days of the sixties and seventies with a great menu of independent and emerging film makers from the USA. We saw Outside In, a moving and beautifully understated film, directed by Lynn Shelton. Great acting by Edie Falco as the teacher and Jay Duplass as a young man coming home from a 20 year jail term for a crime he didn’t commit. You can download the full program at https://www.americanessentials.com.au and see some super films from 9 to 20 May at Palace. Tuggeranong Arts Centre have just closed the exhibition Another Day in Paradise showing the work of Myuran Sukumaran and other artists. The two month exhibition period also saw a range of events and workshops across a variety of mediums and genres. 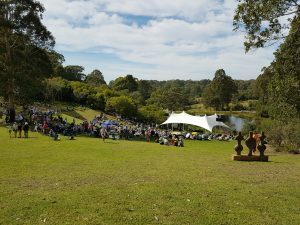 The final day on Sunday 29 April was marked by a day-long artistic vigil called The Final Hours, commemorating the third anniversary of the death of Myuran Sukumaran. We were among the 360 people who visited the centre on the day. We attended the film screening and talk by the makers of the film Guilty, Matthew Sleeth and Maggie Miles. TAC is to be congratulated on bringing this magnificent project to fruition for the Canberra community. Thanks to the Canadian High Commission for an invitation to hear a lecture at IATSIS on Friday 27 April by John Borrows B.A., M.A., J.D., LL.M. (Toronto), Ph.D. (Osgoode Hall Law School), LL.D. (Hons., Dalhousie & Law Society of Upper Canada) F.R.S.C. It was a fascinating hour covering a variety of aspects of Indigenous law in Canada including the introduction of Indigenous law course and streams. The Right Relationship (with Michael Coyle, ed. ), all from the University of Toronto Press. John is the 2017 Killam Prize winner in Social Sciences. John is Anishinaabe/Ojibway and a member of the Chippewa of the Nawash First Nation in Ontario, Canada. As well as gobbling up lots of arts and culture we are also quite partial to good food. AND you don’t have to go all hipster or city-centric to find good food at good value. We joined friends recently for an excellent suburban Chines restaurant experience at the Iron Chef in Mawson. Both the service and the food were great and the venue ambience was quiet enough to allow for our conversation without raising our voices.